I have lived in this area my whole life and until I started helping guests figure out where to go and what to do with their limited time while on holidays in our area, I never realized many things. For example the Bruce County shoreline runs for 854 kilometers with 15 incredible lighthouses, or that we have the first Nationally preserved underwater ecosystem! How awesome is that? 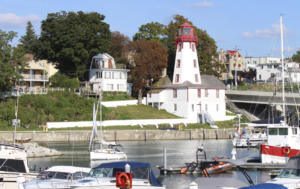 There is a fabulous and unique marine tour of these lighthouses that historically guided many ships, mostly successfully, to their ports. Taking this tour becomes an opportunity to experience exhibits, rare artifacts and hear about legends and lore as well as how marine heritage influenced the settlements of Bruce County, when you stop at Southampton’s Museum. 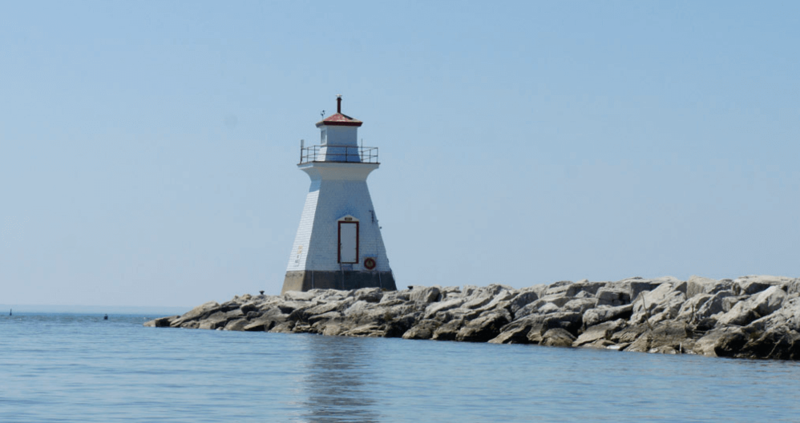 Lake Huron waters average depth is 195 feet with a maximum depth of 750 feet! Georgian Bay is part of Lake Huron with tens of thousands of islands. 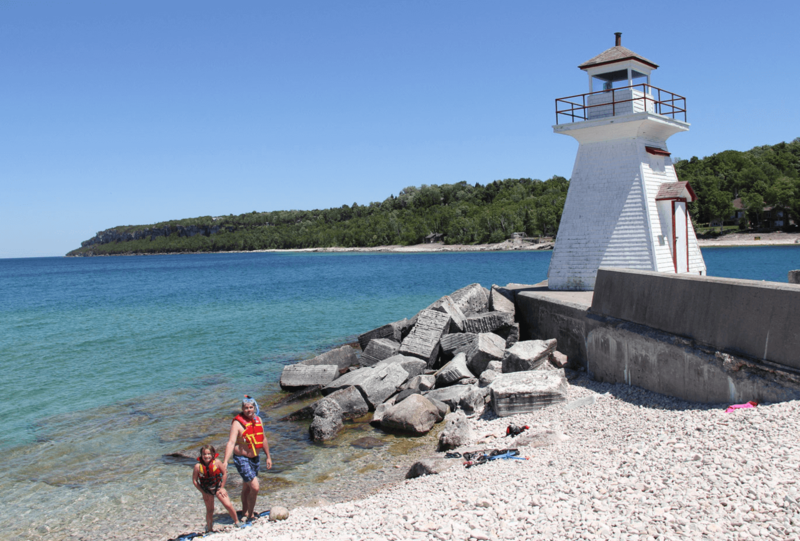 Georgian Bay is generally between 100–300 feet deep but does reach 540 feet deep near the channel to Lake Huron. As you become more familiar with the area you realize the crystal clear waters can be very deceitful, making you believe the depths are far from reality. 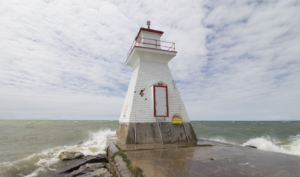 They can become dark and angry very quickly, while proving their strength against many a mighty ship in history, thus creating Lake Huron and Georgian Bay’s reputation as the most treacherous freshwater lake to navigate. Be sure and go to the Lighthouse Destination site to download your pamphlet of all the lighthouses, get a map or their locations and to read some wonderful stories about these lighthouses, their keepers and the ships they guided. 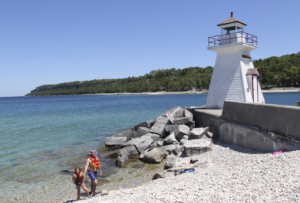 And feel free to book your accommodation at the Waterview on the Bay as we are a great central location to the Bruce Peninsula for your holiday.